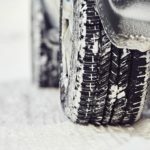 Although the word defensive doesn’t make you think of something positive, when it comes to driving, adopting this type of behavior can save you from a lot of inconveniences. Driving in a defensive manner means you should expect the unexpected, you should keep yourself aware of anything other drivers around you might do that could put you at risk. Some drivers might engage in illegal moves, such as taking a non-signalised turn, or switching lanes without notice, so instead of being taken by surprise when something like this happens, and being exposed to a potential crash, keep your distance and be aware of any possibility. Driving defensively might just be the thing that prevents you from getting into a severe collision. Newer vehicle models come with impressive technological upgrades that are designed to make driving both safer and more enjoyable. However, not everyone can afford the most advanced auto versions on the market, but can however give their own cars, regardless of model, a few tech additions. Today’s automotive industry stands at your disposal with a wide range of great elements that can keep you protected on the road, and allow you to avoid potential collisions or incidents. You can stock upon on great gear and give your vehicle the upgrade it needs. From installing a BlackVue DR750S-2CH Dash Cam, for example, that extends your visibility while driving considerably, to adding more advanced parking sensors to the vehicle, you can access various car accessories that have been developed with safety in mind. Being alerted when you are too close to another car, having a clear view of the surroundings, or being equipped with a collision avoidance system might come in handy in the most unexpected moment. A safety product of this sort could even be the detail that saves your life. If you want to take safety to the next level, accessing the right upgrades is advised. 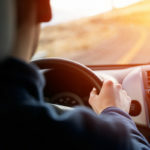 Visibility is one of the things that help you stay safe while driving, but there are certain blind spots that cannot be noticed while you are behind the wheel. Familiarizing yourself with the blind spots of your vehicle is an important aspect here, you need to know your car properly. Also, just as mentioned above, you can improve things in this department by installing cameras. However, sometimes, your view can be obstructed by larger vehicles on the road, so stay in your lane and don’t make any dangerous maneuvers when you are not able to see the entire road properly. Make sure you know all road sins properly and watch out for any local indicator found in lesser known areas. 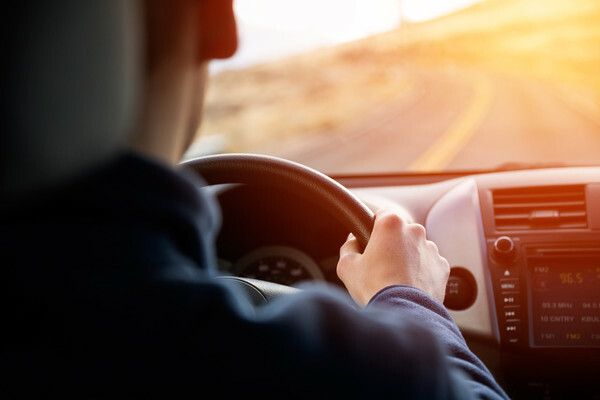 If you are driving at a high speed and don’t notice a sign that indicates a sharp curve is coming up, you can lose control of the car and deal with a serious accident. Keep your eyes on the road and try to notice any posted signs, whether these show speed limits, construction hazards or lane switching indications. Going past the speed limit is something that any driver is tempted to do from time to time. Well, if you want to improve your driving behaviour, you should start avoiding making this mistake. Speed limits are created for good reasons, and neglecting them can only put you at risk. When you are driving slower, you have a much better control over your vehicle, so an unpredicted scenario can be handled in an easier manner. Also, if you do get involved in a crash that wasn’t your fault, and you were speeding, you can face liability issues, just as you would be if you weren’t wearing your seatbelt. Although the phrase “don’t text and drive” has been so widely used in recent years, this aspect cannot be stressed enough. Using your mobile while you are behind the wheel can be extremely dangerous. 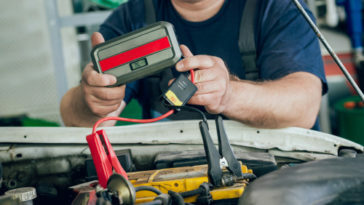 Just a second of negligence from your part can lead to severe incidents so instead of putting yourself at risk that way, simply keep your phone away. If you truly have to make a phone call or answer a text, it’s best if you stop your car on the side. Even if you are using a hands-free, you can easily get caught up in a conversation, get distracted and pay less attention to what’s ahead. When you are driving, you should do just that, drive and nothing else. Considering the number of accidents that occur on the road, taking all means of precaution advised to keep yourself safe while on the road becomes a necessity. Being involved in a car crash is certainly something you would like to avoid, and you can reduce your risks by starting to follow the right safety tips. Among the wide range of things you need to start paying attention to, these should grab your interest first, being regarded as most relevant. Regardless of how much time to actually spend on the road, proper driving etiquette is demanded, so do your best on the matter.